Yesterday I was treated to a fabulous afternoon tea from my friend. London is full of great and unusual places to have Tea. One such place is the Prêt-à-Portea at the Berkeley for Fashionistas. Well, I’m not much of a fashionista, but I do enjoy fashion and I love cake! Sigh. I love l.o.v.e. 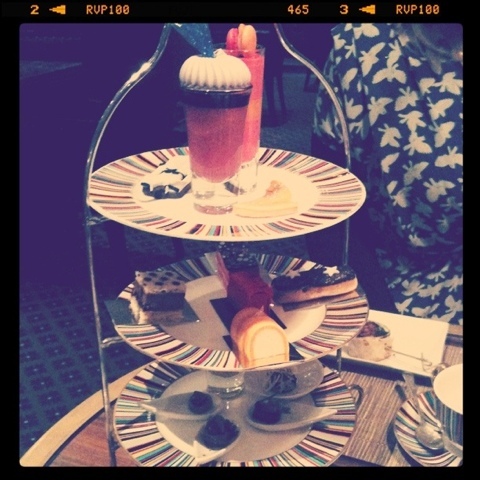 LOVE afternoon tea! It’s one of my favourite ways to spend an afternoon with friends. Even my DH will accompany me and drink a pot of tea (he likes the cakes). 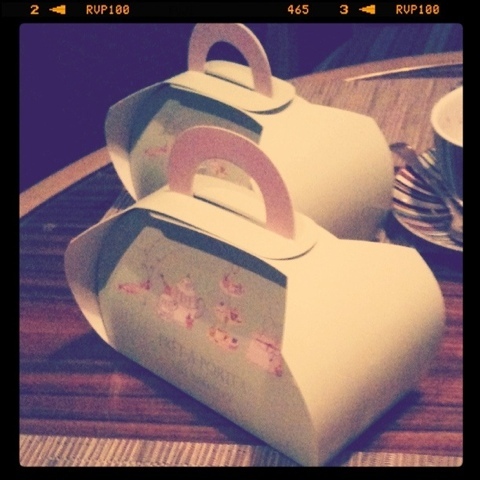 I’ve not been to London (yet), but it’s on my bucket list, and when I get there I intend to afternoon tea myself silly.